Combined Results from Wendy's Invitational - All Races Together! 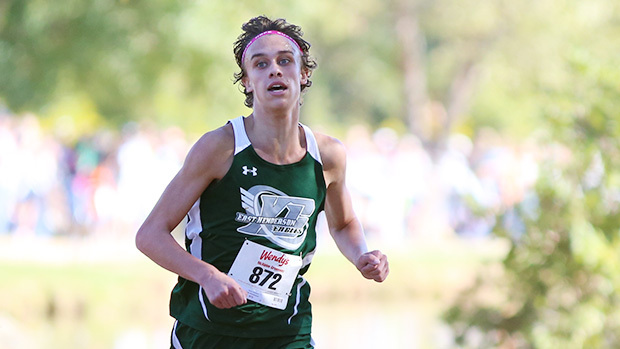 Tanis Baldwin, rockin' the headband because his hair is that awesome, also rocked a PR of 15:02 at McAlpine. With the talented teams distributed through the 6 varsity races, it's hard to figure out where the various schools stack up. Fear not! The MileSplit database has you covered, with both individual and team results merged together from all the fast McAlpine action!